Do Nap Rooms Improve Safety and Productivity? Improving safety and productivity in many companies is a never-ending process. In many cases, it requires you to be innovative and really look outside the box to discover what types of things may work in a given situation. It has been shown that one of the biggest contributors to workplace injuries, as well as a fall in productivity, is employee fatigue. Whether caused by them staying up too late the night before, or having performed physically or mentally demanding tasks at work, fatigue is something workplaces should consider when fighting for safety and productivity improvements. Some workplaces have gone as far as to build dedicated rest or nap rooms in their facility to help combat workplace fatigue. While not meant for long term sleeping, they allow employees to lay down for a 15-25 minute nap, which has been shown to help reenergize people, so they can work more efficiently and safely. One of the first things to keep in mind is just how dangerous it can be to have people working while they are tired. This is especially true in companies that have dangerous work environments like factories, warehouses and similar facilities. When someone is unable to focus on their work, it can quickly cause an accident to occur, which can result in having people injured or even killed. One extreme example of this is the tragic Continental Flight 3407 from Newark NJ to Buffalo, NY. In 2009 the plane crashed on its landing, killing everyone on board. The investigation into the incident concluded that the pilot was fatigued, which was, at least in part, a cause of the fatal crash. While this may be an extreme example, there are hundreds of fatigue related accidents and injuries each year in facilities across the country. Many business owners and facility managers scoff at the idea of providing an area where employees can go to sleep. For many years conventional wisdom has been focused on employers pushing hard to get more out of each employee, which typically resulted in longer hours and more responsibility. What new data is finding, however, is that adding extra hours of work actually provides diminishing returns because employees are unable to focus and remain productive. Business leaders should be able to look past the idea that encouraging employees to work harder and longer is the best way to get the results they are looking for. As more and more businesses are experimenting with nap rooms, the data is starting to show that this idea can actually result in far greater productivity than simply adding more hours. Of course, before adding a nap room to any company it would be important to layout the restrictions on how it is to be used. Most of the data indicates that a 20 minute nap in the afternoon is far more effective at increasing productivity than coffee or energy drinks. Since most companies allow employees to take lunch breaks and at least two other breaks throughout the day, the employer may actually not be losing any actual time by offering the nap room. Some companies put restrictions on how often the nap rooms can be used per week for each employee, and that may be a good idea in some cases. Keep in mind, however, that every individual is different and faces different situations both inside and outside of work. Some employees may need the extra sleep on a regular basis, while others may rarely take advantage of the opportunity. The goal should always be to ensure every employee is able to be as productive as possible, and offering them the opportunity to take a nap may contribute to that goal. Waking up in the morning is often very difficult for people, even if they got a full night’s sleep. For most people, however, it is much easier to wake up after a quick 20 minute nap. In fact, most people wake up full of energy and ready to get right back to work after this type of nap. These short naps are a great way to clear the mind and ‘reset’ the body, which allows the individual to perform at a much higher level after they are through with their nap. Giving employees a place where they can go to take a brief ‘power nap’ will not only reenergize the employees who need the extra sleep, but will also be seen as an excellent benefit. When employees know that the employer cares not only about the bottom line, but also their overall well-being, they are going to be more committed to the company, and work harder for its success. 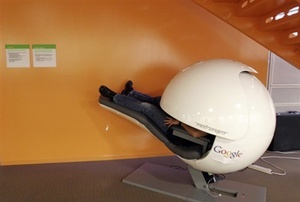 This is an important side benefit that companies should consider when evaluating whether or not to add in a nap room. Taking a nap can also generally improve the mood and attitude of employees as well, which will further help improve the overall employee morale of the company. When you factor in all of these benefits, it is clear that providing employees with a place where they can take a quick nap is often a smart business move. Workplace nap rooms are still very new, so knowing how to design them can be difficult at first. Fortunately, there isn’t much that is needed in order to be effective. A small room that can be kept dark with a mat is sufficient in most cases. Ideally, the room should be in a quite area, or else sound proofed, but even that is not strictly necessary. There is no need to have a large comfortable bed, since it is only to be used for brief naps. Some companies have gotten more elaborate and added in things like water fountains or other things that can make soothing noises and help to drown out the noise from outside. In addition to naps, these types of rooms can be used to mediate or just escape for a short time to focus on something. In most cases a small storage closet or supply room can be easily converted to a nap room with minimal expenses or effort. Of course, having the option to take a nap at work isn’t going to be the only thing that employers can do to help reduce fatigue related problems. Helping employees to get a good night’s sleep at home is also very important. This can be done by offering flexible schedules that work with the employee’s commitments outside of work as well whenever possible. Also, helping to educate employees about the benefits of things like sleeping in the dark, avoiding the use of electronics just before bed and even proper eating habits can be very helpful. By advocating for healthy sleep habits, you will not only be able to benefit the employees overall health and wellness, but also improve their work performance. Supplementing this with the option to take naps at work when necessary can help to ensure employees are performing at peak levels throughout the day. 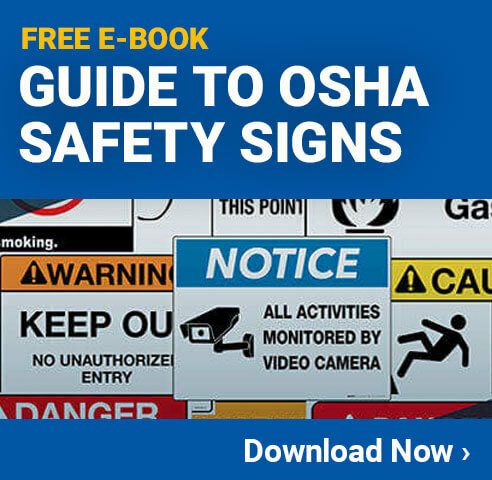 This is important for both employee productivity, and the overall safety of a facility. Sleeping on the Job? It Just Might Be Better Than the Alternative. Next post Internet Usage – Does it Hurt Employee Productivity?